1. A portrait says to every family member. I count, I'm loved and I belong. 2. A family portrait keeps you close, even when you are (geographically) far away. 3. An updated portrait keeps your family history current---no child left behind. 4. A portrait greets you every morning and reminds you of who and what is important. 5. Your greatest work of art is your family. 6. A cell phone is hard to see on the wall. 7. Your children will remember what you looked like when you had hair. 8. Amaze your friends. Astonish your enemies. 9. Family portraits grow in value. 10. A professional portrait artist can light, pose and charm your children...so you don't have to. 11. A snapshot belongs in a scrapbook, a portrait belongs on a wall. 12. "We should have done this years ago." NOT SURE HOW TO GET STARTED? WATCH THIS. 1. Schedule a free consultation. Click here or call 814-868-0888. At the free consultation, look at samples, talk about clothing, style, pricing, and how to get the best results. A good plan makes all the difference. Experience the fun of the session. Select your favorites at the presentation. Enjoy beautiful portraits on your walls (about 6-8 weeks). “We are delighted with our portraits. Paul put our family at ease with his easy-going approach during our session. His photography skills ensure a high quality product that perfectly captured our family’s personality. We will enjoy the portrait as a timeless keepsake." 1. 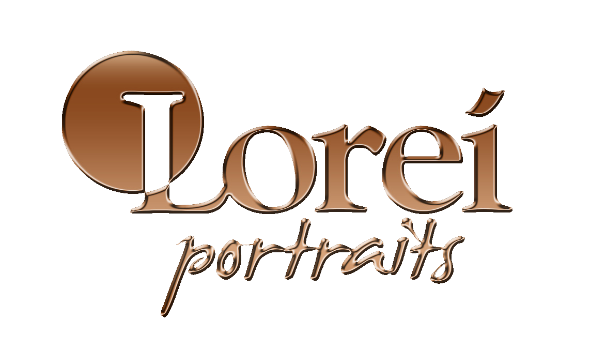 Why choose Lorei Portraits? Since 1990, thousands of families and individuals have trusted us to create their most treasured portraits. We make beautiful happen. Choose in-studio, on-location or at the beach. Studio portraits are elegant, timeless, dramatic...be sure to check out our Bistro art portraits. Location portraits are scenic, natural and carefree. And, Beach portraits are beautiful beyond measure... for 25 years, no one does the beach like us. The style of your portrait determines your choice of your clothes. At your consultation we'll offer tips and suggestions on how to get the most flattering look. In the meantime, check out our clothing Color Guide: http://plorei1.lorei.com/color-guide. Every image goes through our 11-step retouching. From shine to blemishes to slenderizing, our goal is to show you on your best day. Watch the years and the pounds melt away. To give you an idea, a one hour studio session is $99, (location is $199). Small portraits start at $99, wall portraits start at $699 and include a complimentary frame. Retouching, mounting, glazing are included. Ask for a quote on specific sizes and finishes. What kind of portraits you are interested in? How soon? Check out our senior video!